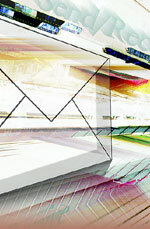 NITF offers E-mail Filtering Services to ensure that your information is there when you need it. NITF captures all incoming e-mail for your domain name. Filters out the spam and harmful emails then forwards the good email to your server and stores the bad email on our server. You can at any point easily view the stopped email through a web browser. E-mail Filtering is available starting at $150 per month. If you sign up for one-year of service, there is no initial set-up fee. Please call us at 703-383-3900 with any question you may have between 9:00 am to 5:00 pm EST. Images - NITF is able to scan inside images embedded in emails for spam content. DNS RBL Servers - Our NITF servers checks the IP address initiating the connection. If it is listed in one of its many DNS RBL blacklist servers the connection is refused. SURBL Servers - NITF scans the content of emails for any HTTP links and URLs. Every link found is then tested against one of the many SURBL DNS blacklists available. If present, the connection is refused. IP Blacklist - Our NITF servers checks if the remote server's IP address matches an entry in our IP blacklist file, the email is rejected. Domain Blacklist - The NITF gateway checks if the domain portion in the sender's email address is in our domain blacklist file, the email is also rejected. Country Blacklist - The sender's Country is tested to see if it is in your list of undesired countries. If so, the email is refused. This product includes GeoIP data created by MaxMind, available from http://maxmind.com. FROM EMail Blacklist - The sender's email address is checked against our list of blacklisted email addresses. If present, it is rejected. TO EMail Blacklist - The recipient's email address is checked against our list of blacklisted email addresses. If present, it is rejected. Attachment Blocking - NITF can check emails for specific attachments or attachment extensions. If found, the email is rejected. Keyword Content Filtering - NITF can check email content and subject for specific keyword and/or phrases. If found, the email is rejected. Bayesian statistical DNA fingerprinting - NITF features statistical DNA fingerprinting of incoming emails. This filter is self-learning, continuously analyzing your incoming traffic to improve its accuracy with time. SPF - Sender Policy Framework - SPF fights email address forgery and makes it easier to identify spam, worms, and viruses. Domain owners identify sending mail servers in DNS. NITF verifies the envelope sender address against this information, and can distinguish legitimate mail from spam before any message data is transmitted. Honeypot Emails - We have a list of "honeypot" email addresses. Any email sent to an address in the list will cause the sender's IP to be blacklisted. Additional anti-spam tests - NITF can then optionally check to see if the recipient address has a % sign in it. Many SMTP servers are susceptible to being tricked into relaying with this. Connections can be rejected if the remote server does not have a reverse DNS PTR entry. NITF is able to check if the sender's MX DNS record is valid before accepting email. You can also refuse connections if the remote server attempts more than n RCPT TOs in a single connection or if there are too many spaces in the subject line. Allowed domains - If the IP passes the DNS tests NITF then checks the recipient domain. If your domain is listed as an allowed domain, then the recipient is accepted. This is done to prevent spammers to use NITF to relay. Excluded IPs - If an IP is blacklisted, but you really need to be able to receive email from that domain anyways, the domain can be added in an exclude list as to allow it to bypass the blacklist rules. Excluded Domains - If an IP is blacklisted but you still wish to receive email from them, the IP can be added to an IP exclude list to allow it to bypass the blacklist rules. Unfiltered Emails - If you have users who do not want to receive filtered emails, they can be accommodated by adding them to a pass-list. EMails addressed to them will bypass all of NITF rules. Excluded FROM Emails - If you want a sender's email address to be excluded from all filtering rules, you can add it to an exclude list. Authorized TO EMails - If you want NITF to only deliver emails to specific addresses in your domain(s), you can manage such a list. Keyword whitelisting - You can provide your customers with specific keywords that, if found in the body or subject of emails, will bypass all filtering rules. NITF will reject an email if it considered as spam and archive those emails rather than having them lost. The remote server will still receive an error stating that the email was rejected, but you will keep a copy in the quarantine website. This will allow you to force delivery of legitimate email which could have been filtered. Enable Cached IP Blocking - If an IP address sends more than a certain number of spam emails (10) during a certain time interval (10 minutes), then it can be temporarily banned (blacklisted). All further connections from that IP address will be immediately rejected without allowing the sender to transmit any data. This greatly reduce the load on the server. A banned IP address will be automatically removed from this temporary blacklist after a defined time interval (60 minutes). Reject if no reverse DNS - NITF rejects emails if the remote server does not have a valid reverse DNS PTR entry. Reject if Empty "Mail From" - NITF will reject all emails with an empty "Mail From" field. Reject if "From Domain" = "To Domain" - NITF rejects all emails where the sender's domain is the same as the recipient's domain. 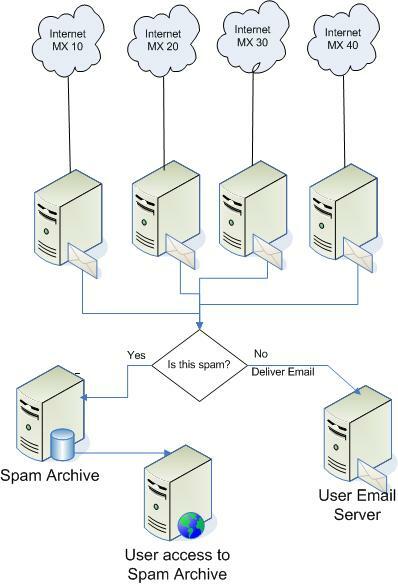 Your users will not go through NITF when sending emails to themselves, Spammers often use this technique. BLACKLISTS MAPS Blacklist servers - NITF checks the IP address initiating the connection. If it is listed in one of its many DNS blacklists the connection is refused. NITF can reject connections based on a configurable minimum number of matches. Blacklisted IPs - You can keep a file with additional IPs that you want to blacklist by entering the filename below. If the file does not exist it will be created. The file is reloaded every minute. List individual IP addresses on each line. Use an ending .0 for a Class C wildcard (i.e. 192.12.45.0 to block 192.12.45.1 --> 192.12.45.255). The contents of the file will be loaded in the memo box, allowing you to make changes to the file. Blacklisted Domains - You can keep a file with additional Domains that you want to blacklist (based on the MAIL FROM field) by entering them below below. Enter one domain per line, no wildcards allowed. If the file does not exist it will be created. The file is reloaded every minute. The contents of the file will be loaded in the memo box, allowing you to make changes to the file. Blacklisted Emails - If you want to block any particular email addresses, enter them here, one email per line. Country Filters - NITF checks the what country incoming connections are coming from. The current number of connections for each country can be updated by clicking on the Update Stats Now button. Columns can be sorted by clicking on the column header. This will help you in sorting countries and hits so you can determine if there are any countries you do not wish to receive email from. Attachment Blocking - You can block emails that have unwanted attachments. You can keep a file with banned attachments here. check emails for specific attachments or attachment extensions. If the attachment is found, the email is rejected. Excluded Domains / IPs - Add here any "MAIL FROM" domains or any IPs from which you want to receive email if they would be blocked by any of your blacklist rules. Enter as many IPs or domains as you wish, one per line. Unfiltered Emails - Any local email address listed here will cause NITF to bypass all blacklist rules for it. If you have any users who do not want to have their email filtered, enter them here. Keywords Filter - You can check email content and subject header for specific keyword and/or phrases. If found, the email is allowed through the filters. Useful if you want to allow certain customers to send you email without having to place them all in a email address whitelist. The same syntax rules as the blacklist keywords apply. NITF features statistical DNA fingerprinting of incoming emails. The statistical analysis is performed using Bayesian rules. Tokens within incoming emails are scanned and categorized in a corpus file. The content of all new incoming email is fingerprinted and checked against the historical data. If there is a high statistical probability that the email is spam, it is rejected. This is done to build a valid statistical base to use before emails are rejected. During this period of time, it is critical to avoid false positives. If a good email is quarantined, forcing it's redelivery thru the web interface will "teach" NITF that the fingerprint in that email is a "good" one, and the statistical DNA database will adapt itself to it. It is very important initially to check the quarantine often to force delivery of legitimate email that has been blocked by the "regular" filtering rules. Domains use public records (DNS) to direct requests for different services (web, email, etc.) to the machines that perform those services. All domains already publish email (MX) records to tell the world what machines receive mail for the domain. SPF works by domains publishing "reverse MX" records to tell the world what machines send mail from the domain. When receiving a message from a domain, the recipient can check those records to make sure mail is coming from where it should be coming from. With SPF, those "reverse MX" records are easy to publish: one line in DNS is all it takes. Suppose a spammer forges a hotmail.com address and tries to spam you. He connects from somewhere other than hotmail.When his message is sent, you see MAIL FROM: <forged_address@hotmail.com>, but you don't have to take his word for it. You can ask Hotmail if the IP address comes from their network. (In this example) Hotmail publishes an SPF record. That record tells you (your computer) how to find out if the sending machine is allowed to send mail from Hotmail. If Hotmail says they recognize the sending machine, it passes, and you can assume the sender is who they say they are. If the message fails SPF tests, it's a forgery. That's how you can tell it's probably a spammer. Pass: the message meets the domain's definition of legitimacy. who are beginning to adopt SPF. that the message is a forgery. If the result is "Pass" the email will pass the SPF filter. Anytime NITF ISP blocks an email, the sender's IP address is sent to our centralized SFDB database. This allows the SFDB filter to have access to a huge repository of spammer's IPs, updated in real-time by all the NITF ISP installations in the world. IP addresses from the database are automatically aged and removed from the database within 6-24 hours if they stop sending spam and/or viruses. The SFDB filter detects spam by checking IP addresses against the SFDB database. The "network reliability" level tells NITF how many different users must have reported a specific IP in order to classify it as spam. Call us at 703-383-3900 with any question you may have between 9:00 am to 5:00 pm EST.